Josy is voted Fire Depot Values Champion! Get your FREE copies of our new 2019/20 catalogue! Josy Faulkner, a member of the Fire Depot customer services team has been voted Values Champion for Q1 2019 by colleagues across the business. She was recognised as the person who most consistently demonstrated the WOW factor to both customers and colleagues. Josy received her award during the company's 'One Team, One Vision' 2019 Q1 update session which took place on the 4th April. The team spent the day with Sales and Mindset coach Steve Knapp- practicing effective communication & sales techniques. 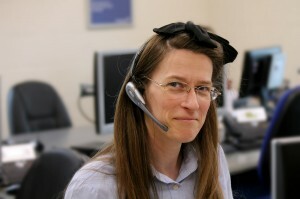 Why not challenge our customer service team to see if they can WOW you?